Yannix Goes Orange For a Day – Yannix(Thailand)Co.,Ltd. Yannix (Thailand) Co, Ltd., welcomed students and faculty from the School of Information Studies at Syracuse University. 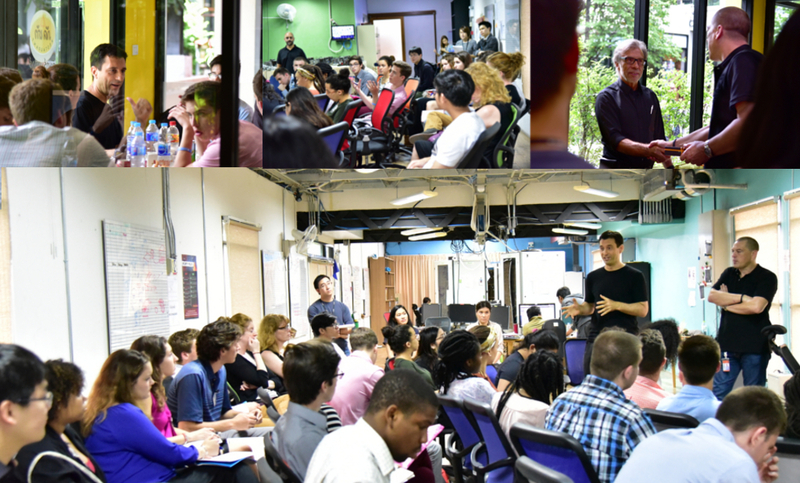 Led by the Assistant Dean of Student and Career Services, Kathryn Allen, Professor Paul Gendel, and Program Manager, Lauren McPhillips, the group of 29 people, who traveled from Upstate New York, toured Yannix’ Bangkok facility, and was treated to lunch and a Q&A with Yannix’ Founder and Chief Executive Manager, Xye. Yannix would like to thank Kathryn, Paul and Lauren, and everyone from the University of Syracuse who participated in this event.